Giving breeders a better view. 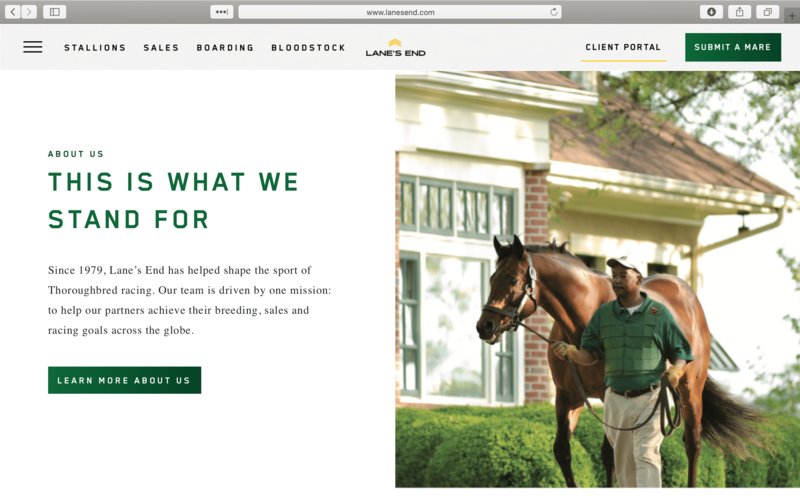 Lane’s End has a well-earned reputation as a leader in the world of Thoroughbred breeding and sales. 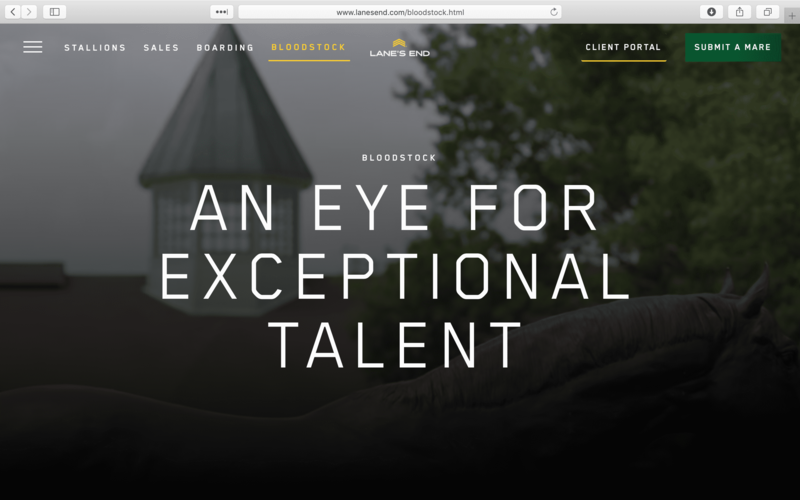 The top stud farm in North America more than a dozen times over, Lane’s End has an international audience, with breeders across the globe interested in their stallion roster. These breeders can’t always come to see stallions in person before making a breeding decision, relying instead on the website and other marketing materials. Typically, those websites feature conformation photos of each stallion—static shots that show a stallion in profile, giving prospective breeders a standardized—though limited—view of each horse. 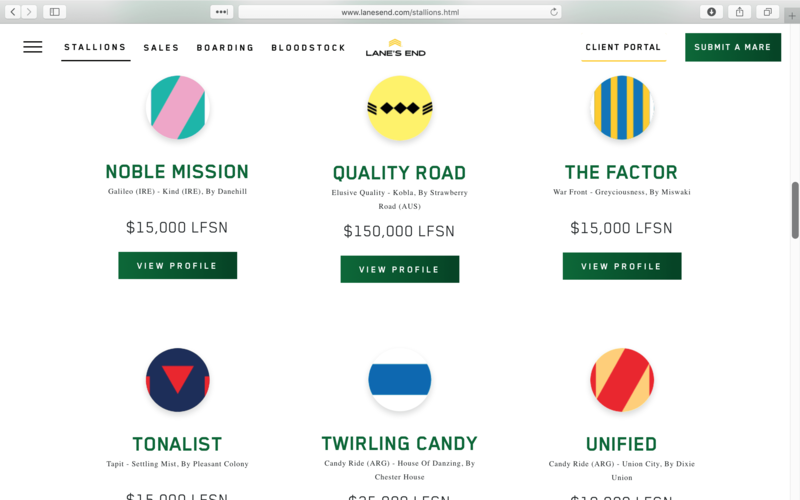 In recent years, we’ve helped Lane’s End push their marketing to match the quality of their world-class stallions, sales, boarding and bloodstock services. 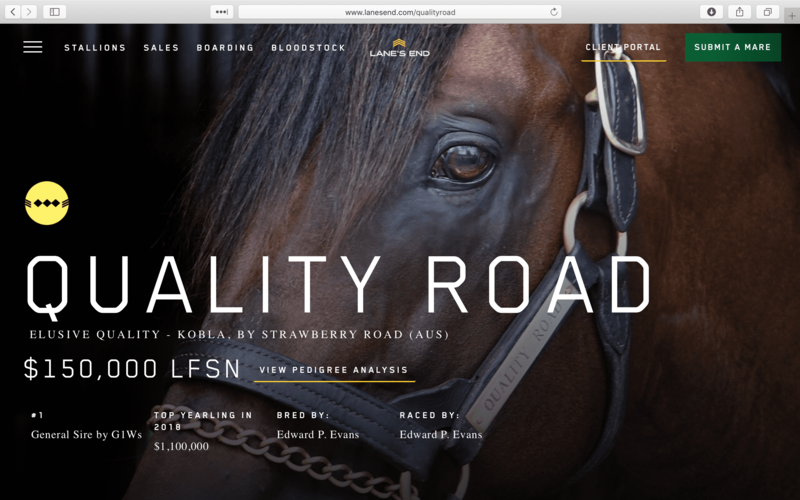 The farm needed a new website that matched the caliber of its other communications, keeping it at the leading edge of the Thoroughbred industry and showing the rest of the breeding world what the future looks like. 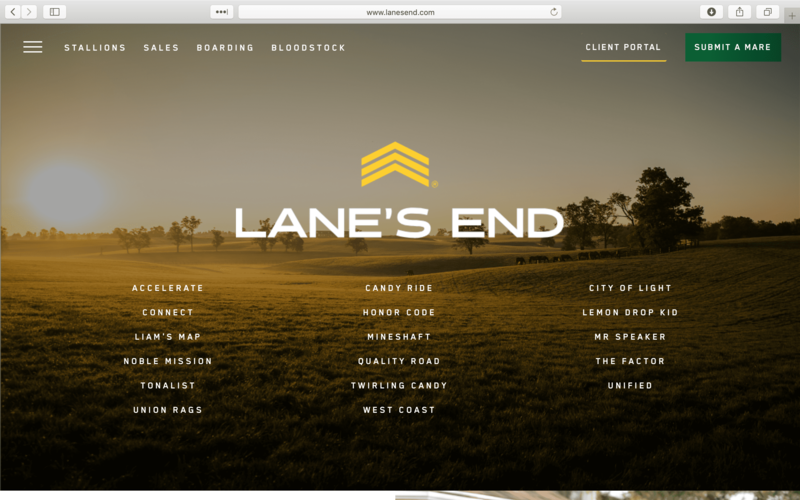 We wanted to create a new site that did more than just share information about Lane’s End—it needed to speak to Lane’s End’s place at the top of the Thoroughbred world. 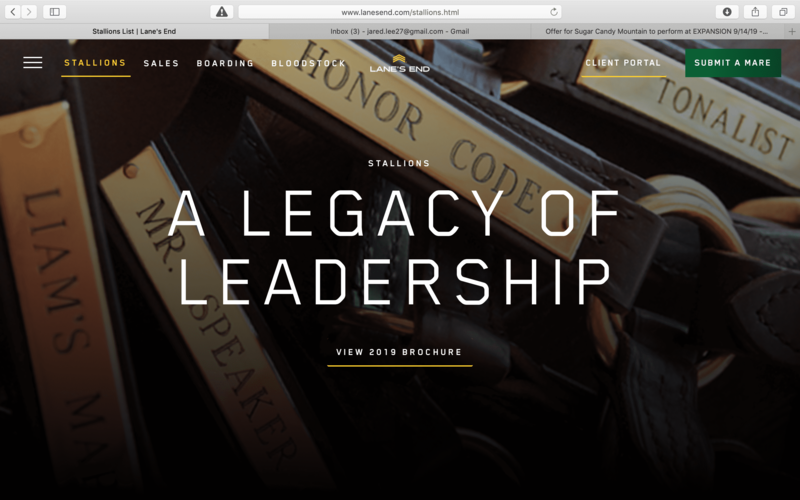 The new website would be clean, modern, responsive, and would beautifully showcase Lane’s End’s stallions and services, but it would also do more—offering potential breeders a perspective no other stud farm could. 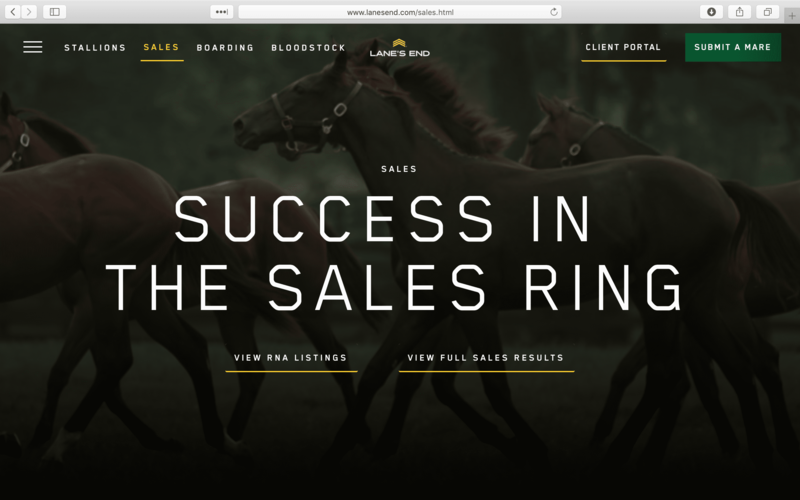 The most notable element of the new site—interactive 360-degree conformation photos of stallions that allow users to see each horse in more comprehensive detail—is an industry first. 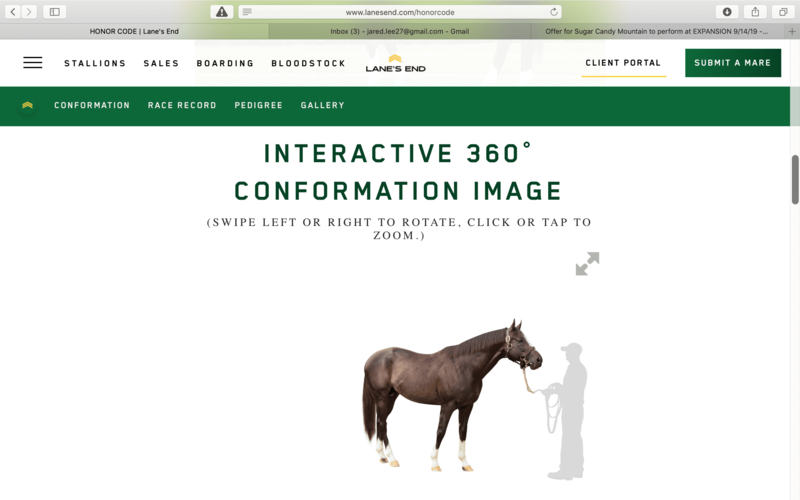 Created with a custom rig involving 60 cameras, the 360-degree photos allow users to evaluate Lane’s End’s stallions in a whole new way, pushing the industry past the standard static conformation photo. The new Submit a Mare page was designed to streamline the process of submitting mares, improving the user experience for potential breeders. 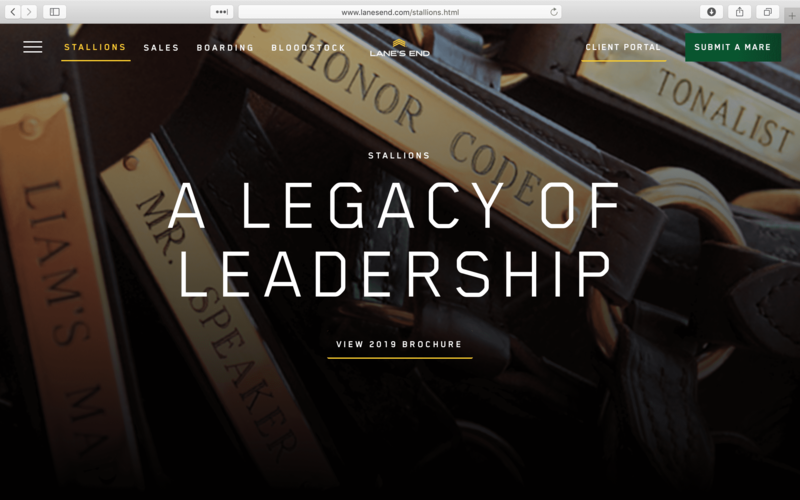 The new site offers an unprecedented level of digital access and convenience to potential breeders, keeping Lane’s End at the forefront of the industry. “Traditionally a two-dimensional conformation image has been used, so with this project we thought why not take the conformation image to the next level and make it interactive. It’s the next best thing to an up close and personal viewing of a stallion and heightens the experience for breeders who aren’t able to view the horse firsthand.